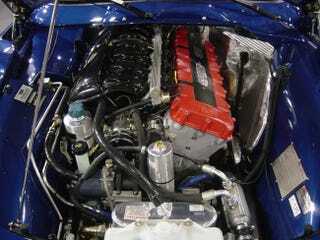 4.0L DOHC 24 valve Inline 6 cylinder engine. 380hp at 7000rpm. 349 lb ft of torque. Mated to a 5 speed manual transmission.